When you arrive at Wesley, you can enter through the front doors ("F" on the map), but you'll find that most members and visitors enter through the courtyard ("C"). Continue on to the Sanctuary (#3) where you will find friendly and helpful people to greet you. For our Japanese-speaking visitors, services are held in the Japanese Chapel (#4). Some activities are held in the former Soko Hardware property on 6th Street (#5). Find us in the Upper Room every 2nd and 3rd Sunday. Park on surface streets in the residential or business neighborhood. 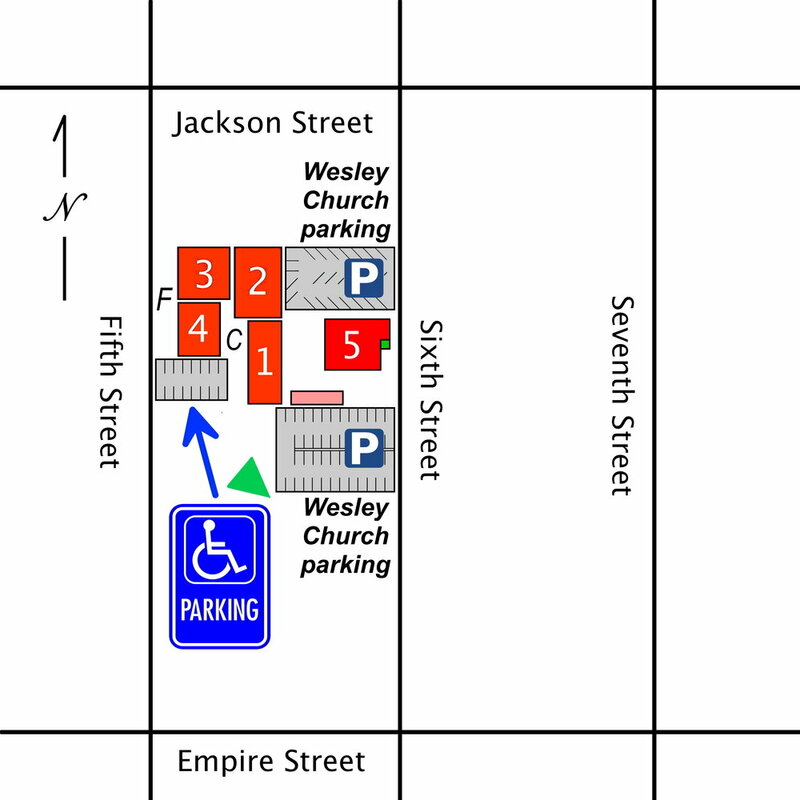 Handicapped and elderly worshippers may park in the lot directly adjacent to the church on Fifth Street (gray area). Please do not park in the parking lot of our neighbor businesses (Kubota Restaurant, JAMsj, Okayama Restaurant, Halau Studio). It is reserved only for their customers.